Phil Jones has been at United for six seasons but is finally showing the qualities that persuaded Sir Alex to sign him in 2011. It is not so long ago that he was our forgotten man but he showed again on Sunday that he can be our defensive lynchpin with a towering performance in the win over Spurs. It was difficult to see where he fit into Jose's plans, as injuries meant he did not play until 2 November, with Eric Bailly, Chris Smalling, Daley Blind and Marcos Rojo ahead of him the centre-back pecking order. Often plagued by injury and error prone, Jones is at the stage of his career where he has to not only play, but deliver. So far, he is doing both. His ability and potential have never been questioned, but his problem has been the same as since he joined: a lack of consistency - either in staying fit or nailing down a fixed position in the team for a sustained length of time. In the past there were always accusations that Jones was a little bit rash - that he would dive into stupid tackles unnecessarily and get himself injured. But I have not seen that from him since he came back into the team, and there seems to be a bit more maturity in his game. Mourinho - as he has done so often throughout his managerial career - has found a defensive partnership that works, with Jones and his much-maligned partner Rojo. 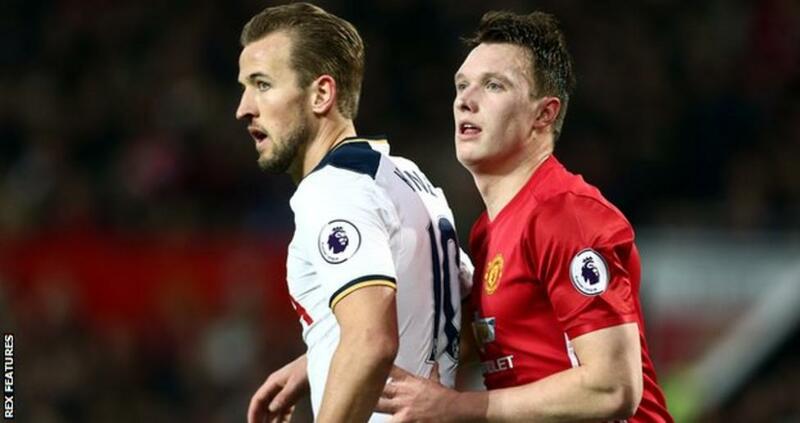 Being part of a consistent and settled back four has also benefited Jones. Matteo Darmian is Jose's equivalent of Cesar Azpilcueta at Chelsea - a right-footed left-back, and Antonio Valencia is the best right-back in the league at the minute. Rojo and Jones rendered Harry Kane almost anonymous on Sunday, the same as they handled Alexis Sanchez and Romelu Lukaku, stopping three of the league's best strikers from having any effect on recent matches against United. The fact that Bailly was available again against Spurs but only started on the bench was testament to the strength of our backline. With the classy Ivorian set to play for his country in January's AFCON, United's defence looks in good hands with Jones and Rojo. That tournament starts on 14 January and Bailly will find it difficult to get back into the team.